Large construction projects are fraught with risks – both known and unknown. When they materialize, these risks habitually have very unpleasant effects on your schedule and your bottom line. Controlling these risks calls for expertise and innovative problem solving abilities. Since 1972 the engineers and multidisciplinary experts at McIntosh Perry have been providing building owners and managers with the information they need to complete projects successfully. Uncovering and evaluating potential structural problems, and providing creative cost-saving solutions is a large part of what we do. Our expertise extends from new construction projects to renovations. We’ve been tapped on several occasions to rescue construction projects gone wrong by developing solutions and overseeing repairs. 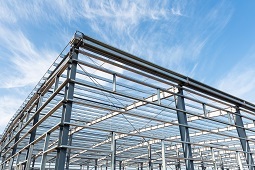 Our engineers and building materials scientists have also designed support systems and hybrid structural materials that provide stronger frameworks while using less materials, resulting in significant cost savings. We help owners and managers of industrial, commercial, and institutional buildings get better return on their investment. Our experience was honed in work on hundreds of office buildings, multi-unit residential buildings, factories, car dealerships, shopping centres, and warehouses. Put the expertise of McIntosh Perry to work on your project. Call toll free 1-888-348-8991 to tell us how we can help you. Choose from our complete set of structural engineering services. We’ve also helped owners of hundreds of existing buildings assess condition and plan for maintenance and repairs. We have a large collection of projects with successful outcomes. Here are a few that feature structural engineering in particular. Our structural engineering team ensured that Amazon’s new fulfillment centre could hold up under the intense and dynamic weight of inventory shelves carried by mobile robots. The robots are helping Amazon speed up order delivery time and retain market share. With over fifty engineers, building and materials scientists, and other experts on our team, McIntosh Perry brings together almost a hundred years of collective experience in one cohesive unit. Working seamlessly with external stakeholders, we integrate quickly into project teams whether we manage them or they are managed externally. Put the expertise of McIntosh Perry to work on your project. Call toll free 1-888-348-8991 to tell us how we can help you.